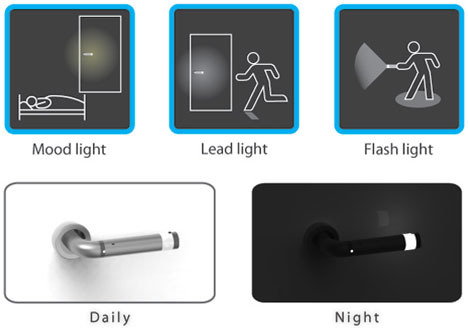 Pivotal (no pun intended) for moving from space to space inside a dark home, the idea for light-up door handles is itself not new – some have been designed to kill germs and turn off when turned while others were conceived to provide emergency exit indicators. 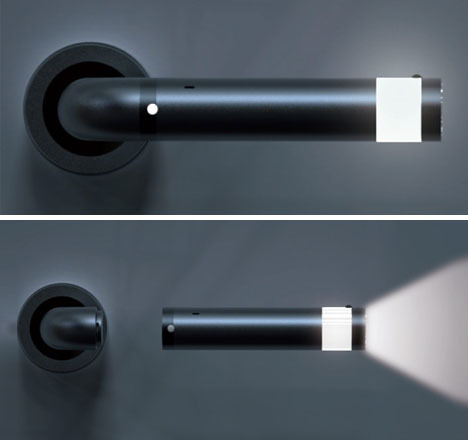 This one turns other bright doorknob designs up a notch further, though, by transforming into a flashlight for storm blackouts or other emergencies. Kun-hee Kim, Kei Shimizu & Nguyen-vu Dang integrated a light sensor into their concept for automatic activation in the dark, and lithium batteries to equip it on the go (and easy-to-operate, quick-release trigger). But what happens when it runs out of charge? 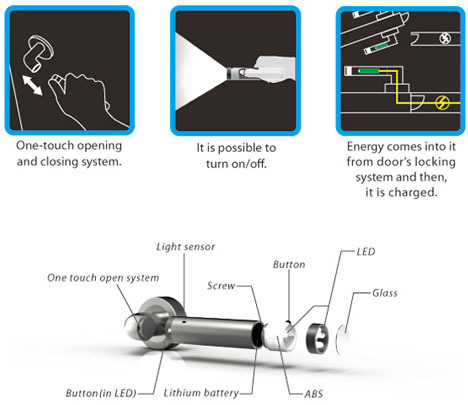 Well, in theory, it would not be a problem: each day-to-day push of the handle energizes the battery. 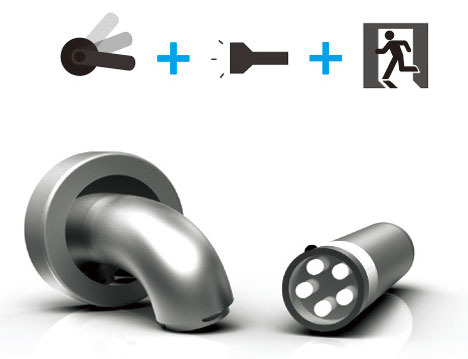 The real yet-to-be-answered question is: what if you are the second person to the door when the lights go out, and there is neither a knob nor flashlight in sight?